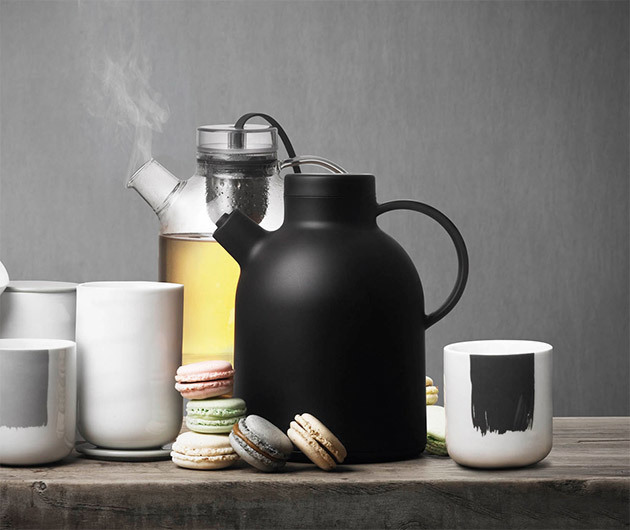 Built with inspiration from Asian cast iron tall teapots, the Kettle Thermo Jug is a contemporary take on a culinary classic. 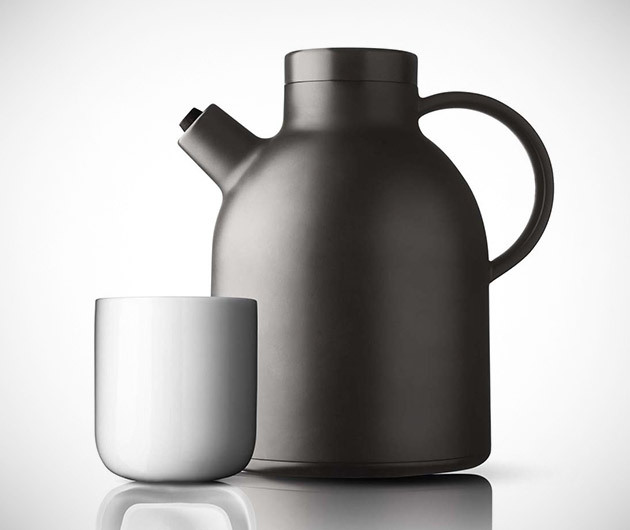 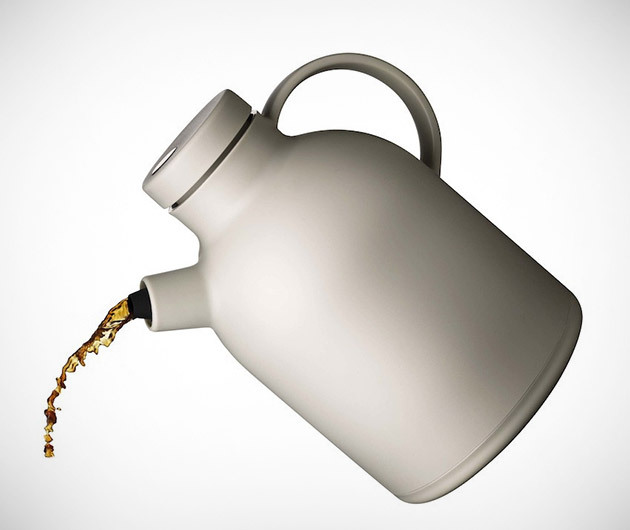 Incorporating modernist Nordic styling, it sports a non-drip spout and exclusive stainless steel indicator to show whether the pot is open or closed. 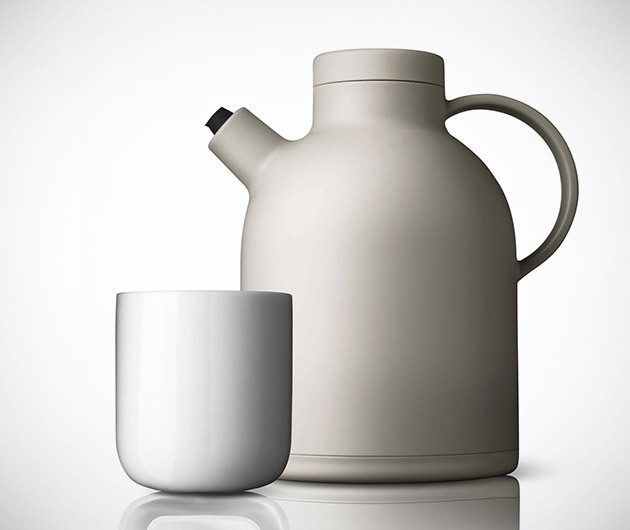 The bulky handle offers a comfortable grip, while further cementing its style.